November Book Spotlight:"I Know An Old Lady Who Swallowed A Pie" by Alison JacksonThis is a super fun Thanksgiving book. 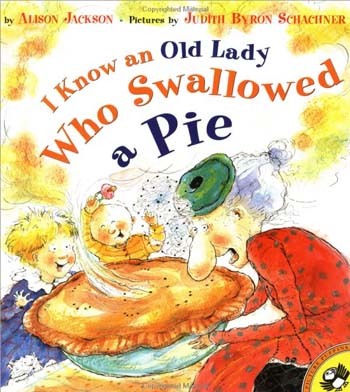 A spin off of the classic "I Know An Old Lady Who Swallowed A Fly", this book is about Thanksgiving and what happens when an old lady swallows a whole lot of food! Buy it from Amazon, or check it out from your local library.